I am always interested to find new things to eat and realized I hadn't done much tofu since I started keto. I do the noodles on occasion but not the firm tofu, so I pulled together this little stir fry inspired by niece who likes to make stir fry tofu. 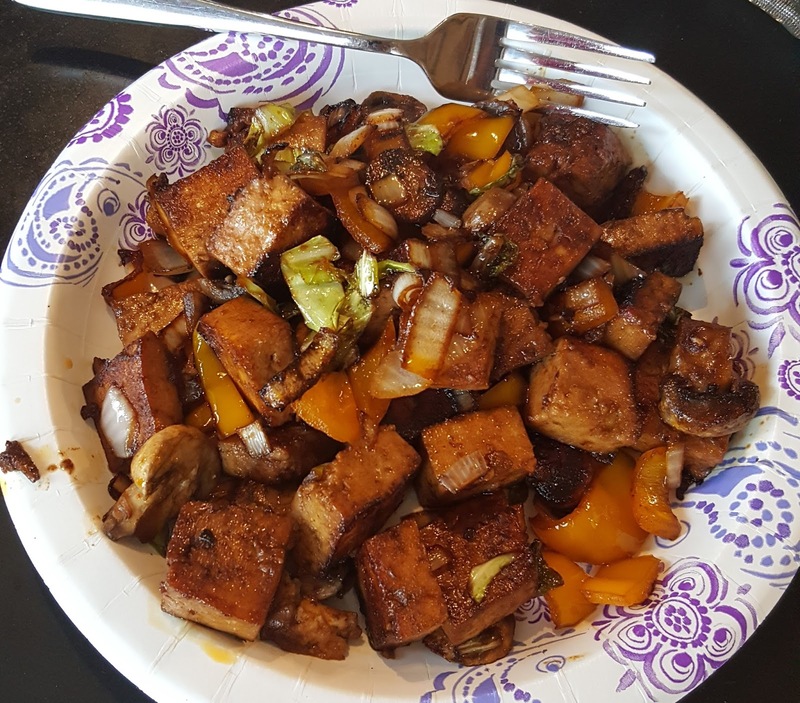 Mix soy sauce, sukrin, Sriracha, and water together in a bowl large enough to marinate tofu. Marinate for 5 minutes. Heat coconut oil in the skillet. Add tofu and vegetables (as many as you want) and cook until desired. I like to char my food quite a bit so I let it cook until it was well done. My husband wasn't crazy about it but the daughters seemed to like it. Enjoy!